Former Florida Gov. Jeb Bush is resigning from the board of a health care company that has profited from Obamacare following his decision to ‘actively explore’ a presidential campaign. Effective Dec. 31, Bush will no longer be employed by Tenet Healthcare or multinational financial services firm Barclays as disentangles himself from business interests that could cause conflicts if he declares his candidacy, as expected, for the 2016 competition. He has also stopped booking paid speeches, though he will follow through on previous commitments through early next year. Bush’s spokeswoman Kristy Campbell told the Los Angeles Times that the former chief executive of Florida is ‘reviewing all his engagements and his business commitments’ as he makes the transition from businessman to politician, again. ‘That’s a natural next step,’ she said, referring to his 2016 considerations. Bush made official last week his interest in holding the office once held by both his father, George H.W. Bush, and brother, George W. Bush, a former governor himself. While he maintains that he’s maintained that he’s merely considering a foray into the Republican presidential primary, his divestment of Tenet and Barclays suggests otherwise. The 61-year-old remains a partner in three private equity funds, however, including one offshore investment fund that is located in the United Kingdom and benefits an aviation services firm based in Hong Kong, that have raised a combined $127 million, according to the LA Times. Another supports a Denver-based firm invests in hydraulic fracking in Pennsylvania and New York while the other props up a Marshall Islands business that transports propane. Bush’s work in the business world dates back to the 1980s when he moved to Miami, Florida, and worked his way up to partner in a real estate development firm. He then served a Commerce Secretary in the Sunshine State for two years before resigning to join his father’s re-election campaign. 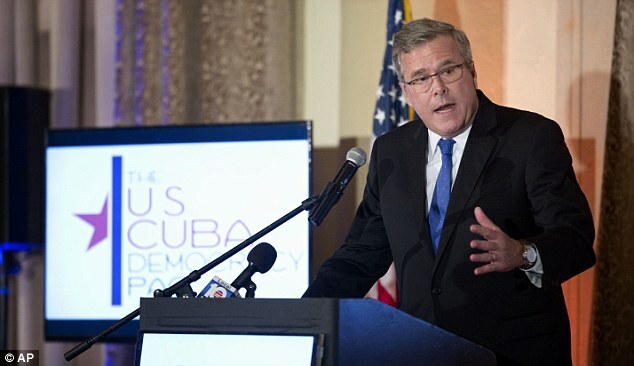 After his father’s loss Bush decided to stay in politics, first as a campaign manager for Republican Ileana Ros-Lehtinen and later as a candidate himself. He failed at his first attempt to be elected to public office but succeeded at winning the governor’s mansion on his second try in 1998. Two consecutive terms as governor later, Bush reentered the private sector in 2007 and joined the boards of Lehman Brothers, which was later absorbed in part by Barclays after the 2008 financial crisis, Swisher Hygiene, InnoVida, Rayonier and Tenet. Building materials manufacturing company InnoVida went bankrupt in 2011 after the company’s president defrauded investors, pocketing millions. He was found guilty of $40 million in investment fraud and sentenced to 121 1/2 years in prison. For his work with InnoVida, which he left in 2010, Bush received $468,901, but he paid $270,000 to bankruptcy court as part of the company’s settlement, the LA Times reports. Bush has since parted ways with Swisher Hygiene, as well. A once profitable sanitation company, it’s stocks took a dive in 2011 after an acquisitions spree and it never fully recovered. On Rayonier’s website Bush is still listed as a member of its board of directors – a gig that pays $200,000. At the time of his resignation from Barclays, Bush’s compensation reportedly topped $1 million. Between direct payments and stock sales Bush also made close to $1.4 million in 2013 off of Tenet. Tenet was a major proponent of Obamacare and the hospital chain reaped significant profits from the individual mandate portion of the law, which requires all Americans to sign up for health care, regardless of whether their employer provides it or not. The company’s chief operating officer, Trevor Fetter, said in August that its second quarter performance this year is ‘the best’ he can remember since joining the company nearly two decades ago, per a report from Forbes, and credited a third of the growth to the Obamacare-fueled health care sign ups. Earlier this year he predicted that Obamacare would put the company up $100 million in earnings in 2014. He added, ‘I think the best way to repeal ObamaCare is to have an alternative. We never hear the alternative. ‘We could do this in a much lower cost with improved quality based on our principles, free market principles,’ he said in an interview on ABC’s This Week that aired last year. Tenet’s chief executive Fetter told the New York Times in April that Bush had been vocal in his opposition to the Affordable Care Act while advising the company but suggested that he did not let his political views get in the way of his duties. He was able to separate his ‘personal views and what is best for the company,’ Fetter said. Bush’s spokesperson did not respond to a request for comment on the nature of Bush’s work with the company.